Discover the Orosei area and its wonderful gulf! 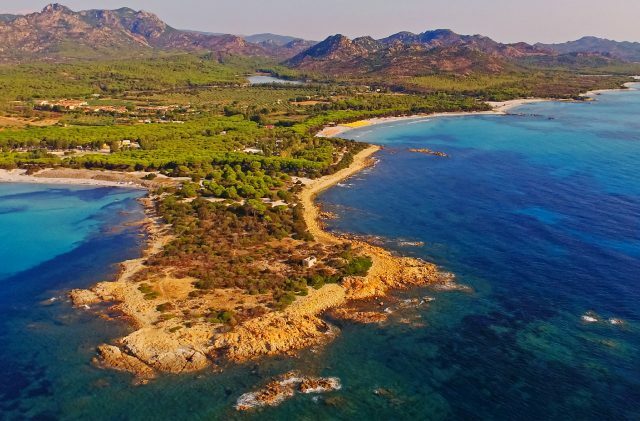 Camping Cala Ginepro is located in the part of Sardinian known as Baronia, of which Orosei has long been the main town. Located at the foot of Mount Tuttavista, Orosei has a rich history, as evinced by its quaint centre, which is very much worth a visit. The population is just a little below 7,000, and the town plays host to numerous festivals and events. The Orosei area, within embraces Camping Cala Ginepro, is one of rare beauty. From north to south, the backdrop can change rapidly, even within the gulf itself. The northernmost part of the Gulf of Orosei is characterised by fine sandy beaches, shallow seabeds and turquoise-coloured water; the southernmost part has coarser sand, cliffs and seabeds that fall away rapidly. The natural heritage of the Orosei area and its gulf is truly priceless. From the moment you arrive on the campsite, you can appreciate the wonderful colours of the natural environment here, the incredible transparency of the sea and the fragrance of the Mediterranean maquis that infuses the white beaches. The stunning landscapes of the Orosei area renders this tract of the east coast of Sardinia one of the most captivating parts of the island. With more than 40 km of coastline, the Gulf of Orosei is a unique, multifaceted place. There are numerous organised tours that depart from Orosei. The Gulf of Orosei encompasses some of the most beautiful and most celebrated beaches and bays in all of Sardinia, such as those in the Biderosa Nature Reserve, which can easily be reached from the campsite in just a few minutes by car, or by strolling along the shore or riding on one of our mountain bikes.